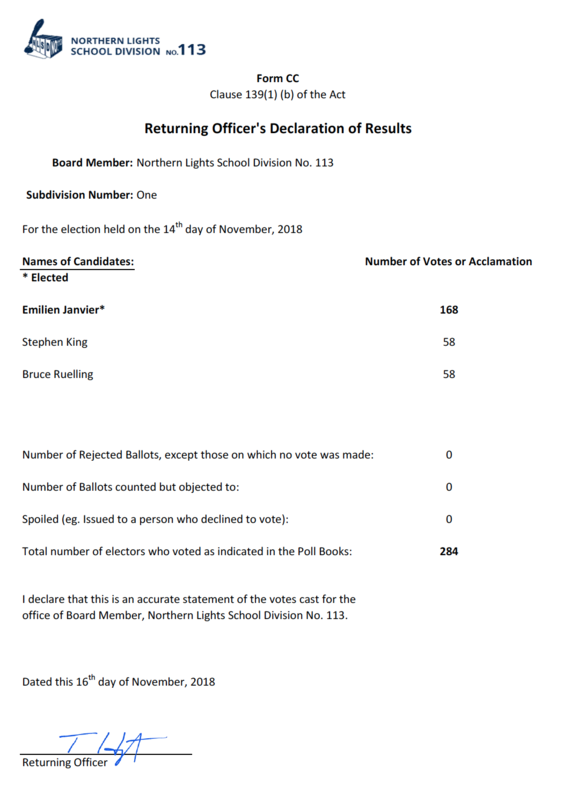 The School Board By-Election was held on Wednesday, November 14, 2018 for a term of office of approximately two (2) years. 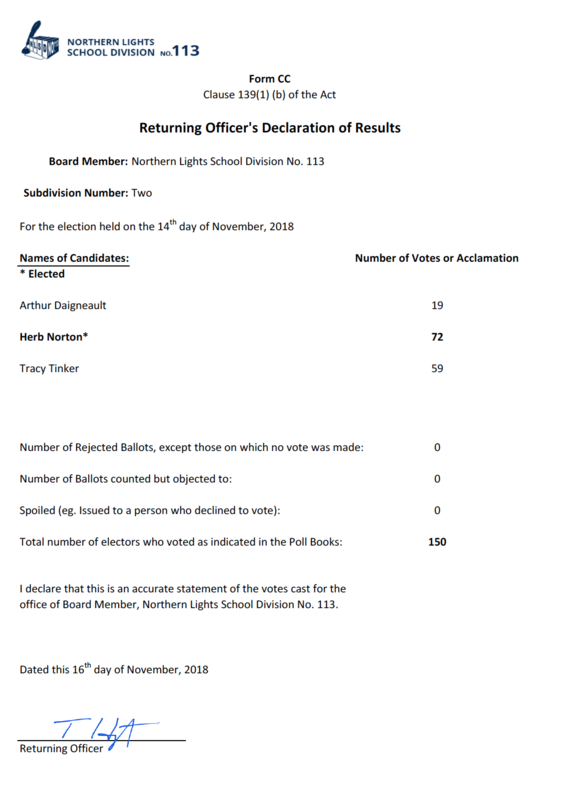 The Board of Education for Northern Lights School Division is comprised of nine (9) elected members. The School Division is divided into nine (9) subdivisions.